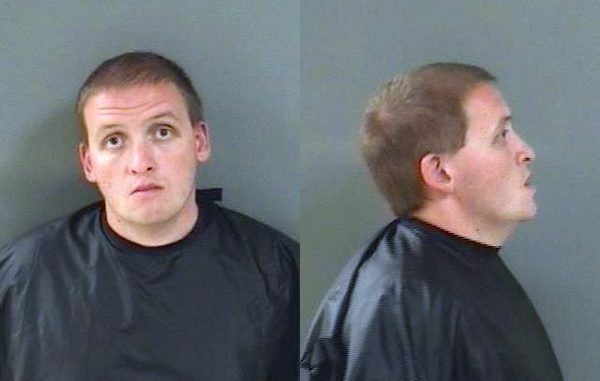 Man speeding said he wanted a Pepsi and that he heard bullets when traveling through Sebastian, Florida. SEBASTIAN – During a traffic stop, a driver told deputies he was speeding through Sebastian because he wanted a Pepsi, and that he heard “bullets,” according to the Indian River County Sheriff’s Office. It was Monday afternoon when a few motorists reported a reckless driver speeding through Sebastian on U.S. Highway 1. They described the vehicle as a red Toyota pickup truck that was heading south. Witnesses said the driver was running people off the road, passing vehicles on the shoulder, and changing lanes, according to the affidavit. A deputy spotted the truck and conducted a traffic stop after it sped through a red light at an intersection, almost causing a crash, according to the report. The deputy said the truck was traveling at a high rate of speed and observed the driver passing vehicles “on the shoulder of the roadway,” the report said. Once the truck stopped, the driver, identified as 25-year-old Matthew Travis Anzaldi, “raised his hands out of the driver side window,” the affidavit said. When the deputy asked Anzaldi why he was driving recklessly, speeding, and passing cars on the shoulder, he said he wanted a Pepsi. Anzaldi said he was driving 80 mph and passing vehicles because he thought someone was chasing him down, according to the report. Deputies did not observe any indicators of impairment. When deputies were conducting an inventory search of Anzaldi’s vehicle, they found a speeding ticket approximately an hour prior by the Melbourne Police Department. Anzaldi was arrested for reckless driving and transported to the Indian River County Jail. As of Tuesday afternoon, Anzaldi was still being held on $1,000 bond. According to jail records in Brevard County, Anzaldi has been arrested ten times for various charges including DUI, possession of a stolen driver’s license, probation violation, criminal attempt to solicit, fraudulent use of a credit card, and grand theft.